August’s meeting covered quite a bit of ground. The club got its first look at the video created by PGTV of our field day activities. 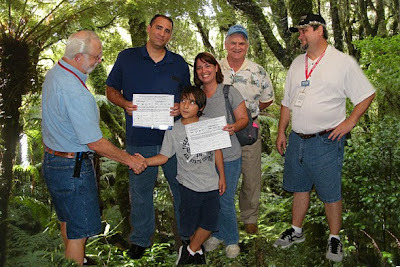 You can see this video again by clicking below. The main speaker for the evening was Chet Carruth AB4XK. Chet repeated his field day presentation on soldering connectors to coax. Consistent with his style, his presentation was both through and entertaining. The first part of Chet’s presentation consisted of a series of how-to slides. You can review these in the slide show below. The second part was a live demonstration. Through the aid of a video camera we were all able to see Chet actually perform the steps he described in his slide presentation. 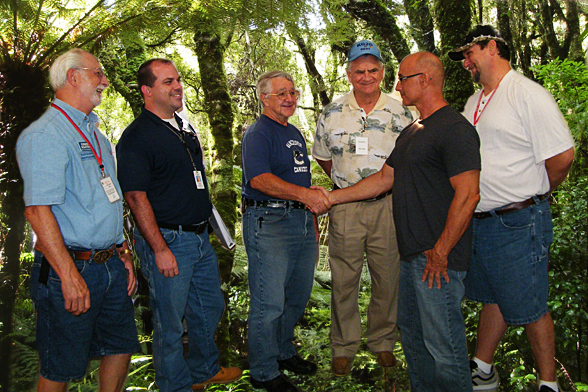 Prior to the meeting six tested and either passed or upgraded to the next license level. We will start with them first. Pictured left to right we are Ernie KG4YNI, Ringo Breton KG4DUF, son Rowan Breton, Stacy Breton KG4IRN, Bert KG2G, and George KI4NBE. Pictured left to right we have Ernie KG4YNI, Frank Fernandez KK4TBK, Kenneth Hayes Jr, KK4TBL, Bert KG2G, Joe Duquette KK4TBJ, and George KI4NBE.Not pictured was Jennifer Wright KK4TBO. 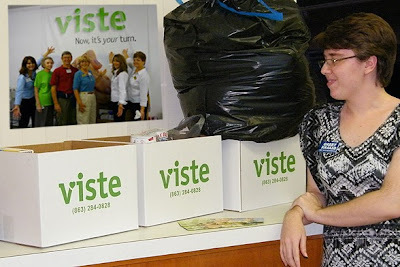 Last, but not least, we would like to thank all those who generously donated food to VISTE. Gabby KK4ASD is seen here next to this months donations, which will be much appreciated.